Now with Express Check Designer you can create custom checks in a snap! Edit text, modify and move existing objects or change font types or sizes to customize the check templates in just a few simple mouse clicks. 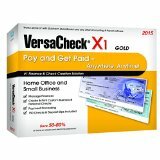 VersaCheck X1 Gold 支 票 軟 件 With VersaCheck, you can print custom personal-size checks in just minutes with your Windows PC and laser or inkjet printer! Create checks that express your individual style whenever you like. You are no longer limited to the style the bank offers you. 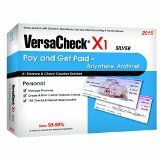 Save 50 - 80% vs. preprinted check costs! NEW! 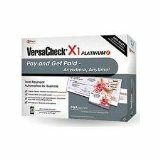 gPayX1 for PC and mobile devices to accept and send check and electronic (echeck, and ACH) payments from anywhere, anytime! 支 票 軟 件 -Design checks, invoices & business cards.